1 ring before | This Blog Rules | Why go elsewhere? We are all familiar with the fact that boxing is, well…a pretty brutal combat sport. Of course boxers get out in the ring completely normal and clean, and comes back all bloody, sweaty and gross. 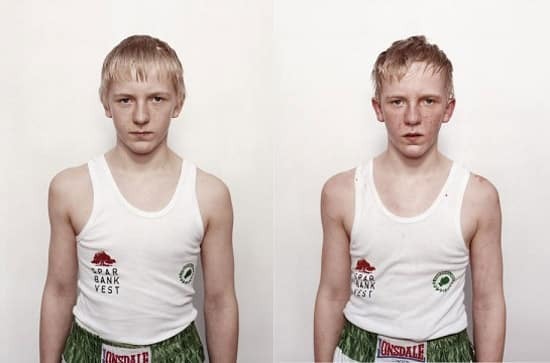 Danish artist Nicolai Howalt has started a project that he calls “Boxer” where he photographs boxers before and after they go to fight. Every photo is raw but artistic.